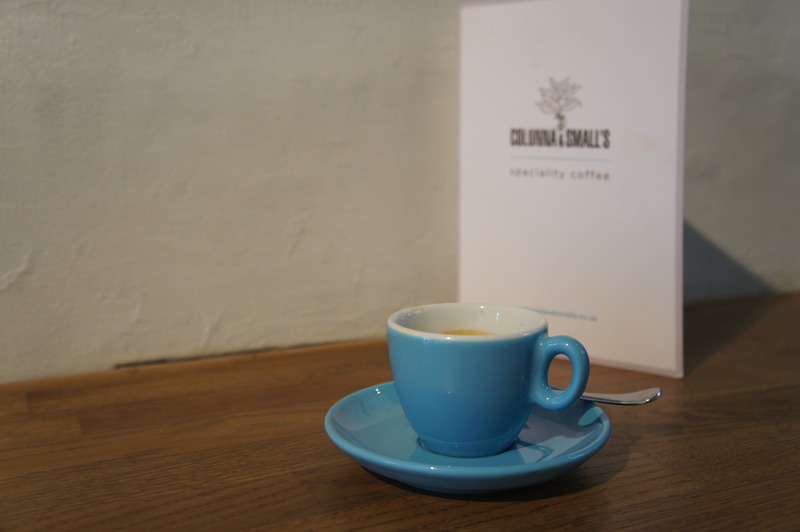 I’m spending month and a half in Colonna and Small’s in Bath. Being here for a longer period of time makes the learning a lot smoother. If I was staying just a couple of days, everything would have been very rushed because I want to discuss so many things with Maxwell and Lesley. Yes, it’s kind of like a field research – thanks to Philipp Meier for naming it. So I asked Maxwell if he sometimes experiences difficulties dialing in a coffee. The way work is being done here in Colonna and Small’s is using the method of elimination – every variable element is being thoroughly checked, understood, kept an eye on (pimped if needed) and only after that it has been ticked off. And when you think about it, that’s the only way to locate the fault. When it’s not the machine, it’s not the grinder, it’s not the water…you got what I mean. I cannot stop comparing and relating everything with the Swiss coffee scene, because that’s the scene I know. And of course, I don’t want to belittle anybody’s efforts in roasting coffee. I’m sure everybody is trying to unlock as much as possible from the green beans they’re roasting. But I believe Switzerland has the potential to roast coffee better – far more precise and with a lot more understanding than it does at the moment. Problem is there are not many people who can really tell the difference between a mediocre roast and an excellent one. What happens at the end is – consumers drink badly roasted coffee and they don’t even know it! Or how are we supposed to know if there has been a problem on a farm level? Yes, faults and taints are detectable, but still…People with good sensory skills in Switzerland are scarce and no, I’m not saying everybody is just being humble and doesn’t express opinion. It’s difficult navigating between opinions, but at the end it comes to having different reference points. Locating the problem is the most difficult part, but eliminating it is also sometimes not particularly easy. Especially when the problem is technical. At the end our job as baristi is to brew the best coffee we can with the equipment we have.